Dr Chandan Kumar Sharma is a keen observer of the political and socio-cultural developments of the Northeast region. Sharma, a Professor & Head, department of Sociology in Tezpur University (TU), in an interview to Mahesh Deka shares his views on the ongoing controversies surrounding National Register of Citizens (NRC) update exercise in Assam. NeNow: What’s your take on the controversy surrounding National Register of Citizens (NRC) update exercise? Do you think the way national & international media, human rights activists as well as some political parties are projecting the update exercise is justified given the fact the entire process is being carried out under direct supervision of the Supreme Court of India (SC)? 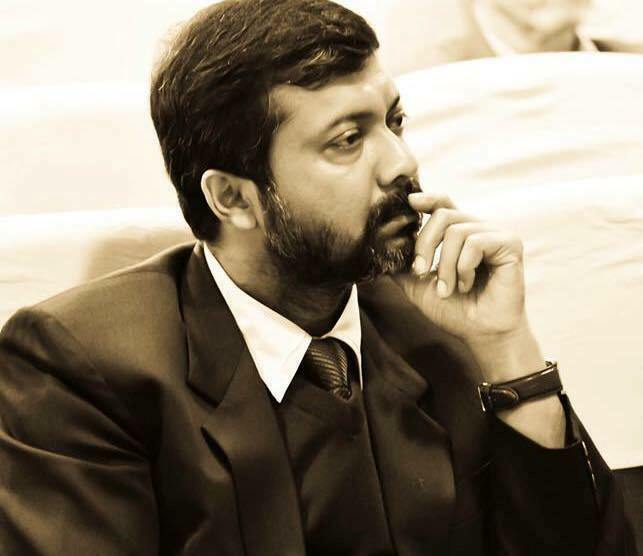 Chandan Kumar Sharma: The answer to your question needs some elaboration on the issue. The first NRC was published in 1951 after which it was never updated. The process of NRC update has been a long term demand in Assam in the context of the large scale illegal immigration to the state after independence which changed the demographic landscape of the state. And this was also a provision in the Assam Accord signed in 1985 after the anti-foreigners agitation during 1979-1985.It was expected that NRC update would help identity the foreigners illegally staying in Assam. But its implementation has taken this long because of the dilly dallying of the governments in power. Secondly, we have to also acknowledge that despite some initial circumspection and opposition, the process of NRC update has been welcomed, barring some groups, by the cross section of people and political parties of Assam. The feeling is that it would help lead to a sort of a closure to the vexed issue of illegal immigrants in Assam. And on the basis of such a consensus that developed over the period of time, the process of NRC update has taken place, and as you said, under the direct supervision of the SC. Two drafts of NRC have been published—the first draft was published on 30th December, 2017, which had included almost 1.9 crores of people and on 30th July, 2018, the second draft was published with 2.90 crore people included in it out of Assam’s total population of 3.29 crore, but leaving out around 41 lakhs. This is not a final list; it is only a final draft. There is scope for claims for people who have been left out and objections against those whose names have been wrongfully included. Now, the Assam Accord has been there for more than 30 years. That the NRC update was taking place under direct supervision of SC was also not unknown to many of those who are now making all kinds of comments against it. But they never engaged in any constructive discussion on the issue in the last couple of years after the process of NRC update began. The NRC authorities also sent requests to other Indian states for verification of documents submitted by citizens from those Indian states residing in Assam. But the response of those states was very poor. After the first draft it was below 20%. The final draft also suffers from the same which resulted in the exclusion of many from those states in it. There is no doubt NRC updating process is a massive and complex exercise and there has been definitely omissions and commissions which must be corrected so that nobody who or whose forefathers was a citizen of India before 25th March, 1971 irrespective of caste, creed and religion, is left out as per the provision of the Assam Accord. But we have seen how after the second draft was published some sections created a big brouhaha that all these people have been declared as Bangladeshis. This was absolutely wrong. This includes many people including D voters, the cases which are under the consideration of Foreigners Tribunal; the people who could not make it to the list because of minor mistakes including those from indigenous Assamese people; the people from other states of India whose legacy data have not been verified by those states; the married women who could not produce their linkage with their parents, and so forth. Therefore, there is no doubt that a large number of these people would be eventually included in NRC. And there is also a possibility that some people included in the NRC might also be excluded on the basis of objections if they are proved to be wrongfully included. There have been reportedly many cases where people are using the legacy data of others. Even the NRC Co-ordinator has recently admitted in the SC that there have been cases of buying and selling of legacy data. Prior to the publication of the second draft, online portal Awaaz.com started a propaganda that names of seven million Muslims will be deleted from the NRC who will be expelled. They have been proved wrong. They deliberately refrained from mentioning that the update process has nothing to do with religion. Interestingly, on the other hand, there are some groups which have accused NRC update as an exercise against Bengali Hindus. So which is true? Out of the 2.90 crore people included in the NRC final draft, there are already a huge number of Bengali Hindus and Muslims of East Bengal origin. If there were any inherent design to exclude these people, they would not have been included in the draft. Secondly, the names of many indigenous people are also left out but they are not raising an issue out of it because they believe that with their documents they are going to make it to the final list. Some people are also trying to compare it with the Rohingya issue. Nothing is further from the truth because Rohingya situation has arisen out of unilateral action launched by state of Myanmar against the Muslims living in Rakhine province. But that is hardly the case here. The Hindus and Muslims in Assam have equally welcomed the NRC process and have painstakingly participated in the exercise with a purpose. More importantly, the public opinion in Assam has unequivocally opposed any communal politics on the issue. NeNow: So you don’t believe that the NRC update process is biased as alleged by certain groups and political parties? CKS: I don’t think the process is biased as such. However, because it is a massive and an unprecedented exercise, I believe there has been definite omissions and commissions, something admitted by the NRC authorities too. Secondly, some people might find it very difficult to produce necessary documents due to many reasons. Then there are human issues which perhaps cannot be entirely addressed by a mechanical bureaucratic approach. Therefore, all assistance should be provided to these people to prove their citizenship. It has been reported that genuine citizens’ names have been excluded from the list including those from indigenous communities as well those whose forefathers came to Assam a couple of generations back. It is most unfortunate that their descendants’ names have not found place in the draft NRC. The authorities will have to take up these cases with all seriousness and sensitivity and see that their names are included in the final NRC. There have already been claims and objections about exclusion and inclusion of people of certain groups in the final NRC draft. Now the SC will verify these cases according to the Standard Operating Procedure (SOP) submitted by the NRC authorities. If some NRC officials are found to be complicit in the deliberate illegal exclusion or inclusion of any people, they should be brought to book. However, those whose names are left out of NRC can take recourse of Foreigners Tribunal, the High Court and even the SC for justice. Since this is a demanding process, as I mentioned, government should adopt a sensitive approach toward such people as their might be genuine Indian citizens among them. NeNow: Do you believe that after the publication of final NRC list, the illegal migration issue will completely be solved? CKS: This is what people in Assam are expecting. Although Assam’s geo-political location is such that immigration to the state may always be an issue. However, the issue might not evoke same emotion if the NRC update process is taken to its logical end. Immigration to the state from Bangladesh as such appears to have declined in recent times. And when you have a citizenship list in Assam it will not be easy for people to infiltrate and become citizens of India like before. The NRC update will definitely have a bearing on illegal immigration. Number two, a large segment of people in Assam who have been painted as illegal immigrants and Bangladeshis on the basis of certain perceptions, now will be able to say with confidence that they are citizens of India. However, there will also be a fallout of the NRC updating process. We all know that a large section of people will be left out NRC because they are illegal immigrants. But what will happen to them remains a very important issue. The Government also has not come out clearly on this. Further, the rapid population growth among the immigrant Muslim population has been a source of serious trepidation among the indigenous communities of Assam. Government therefore must take up effective measures for the expansion of education and health facilities to the areas, especially the char areas, inhabited by the immigrant Muslims. This will definitely help the community to come out of the clutches of various ills such as poverty, illiteracy, high population growth, etc. it will also pave the way for their better integration with the larger Assamese society. This I think is an important issue. NeNow: Do you think if the Citizenship (Amendment) Bill 2016 is passed in Parliament, NRC update process will be of no use? CKS: The present Government of India intends to bring in the Citizenship (Amendment) Bill, 2016 that seeks to provide citizenship to citizens of minority communities (except Muslims) in India’s neighbouring Muslim-dominated countries who have entered India on or before December 31, 2014. Obviously, the group which the bill mainly intends to benefit are the Hindu immigrants. Clearly, the purpose of NRC will be redundant if such an Act comes into force as that will regularize Hindu Bangladeshi immigrants whose number in Assam is evidently quite significant. All the resources, time and energy spent on the exercise will become meaningless. It might spell death knell for the identities of the Assamese and other indigenous communities of Assam and Northeast. That the people in Assam are vehemently protesting against the bill should speak loud and clear about the public opinion in Assam and what is their expectation from the NRC. I therefore think that the vicious campaign launched by some quarters demonizing the people of Assam must have stemmed from either utter ignorance of the realities in Assam or deliberate designs to create trouble to thwart the NRC updating process. Unfortunately, I feel, even the Indian liberal intelligentsia has also failed to understand the situation. Comments from a section of them only exposed their ignorance of the historicity of the immigration problem in Assam. While this is not surprising as most of them rarely engage with Assam or northeast, what is more disappointing is that they have not cared to understand the historical background of the NRC update process before making such comments. They should have studied the issue properly and then come out with their constructive opinions. This would have perhaps benefitted the entire exercise. NeNow: How do you see the stance taken by different political parties on NRC? 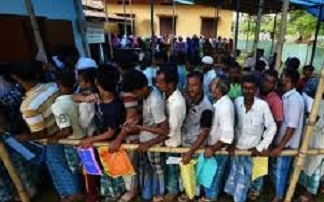 Parties like Congress on the one hand favor NRC here in Assam; on the other hand the certain central leaders of the party have made many controversial statements over NRC update. So what’s your take on this? CKS: The congress stand on NRC has been rather checkered. Congress was indeed the architect of the Assam Accord. But before the Act was signed in 1985, they brought in the IMDT legislation in 1983 which made it almost impossible to identify foreigners. Although, Congress takes the credit for the Assam Accord, they as well as the successive governments had been sitting on this for all these years. As the issue was of deportation of illegal Bangladeshis, successive union governments failed to take up the issue with the government of Bangladesh. After SC struck down the IMDT Act as unconstitutional in 2005, then only the tripartite talks happened between Union government, Assam government and the All Assam Students Union and there was an agreement on updating of NRC. However, the Congress-led government in Assam took five more years to start this process. That too in such a manner that it led to the stall of the process. It gave an impression as if the Congress government was not in favour of the process. Subsequently, you know the involvement of SC in the process. Even today, although officially Congress has taken a stand in support of NRC, there are senior Congressmen who are airing ambiguous statements. Similarly, the Trinamool Congress leader and West Bengal Chief Minister Mamata Banerjee spew venom after the final draft of NRC was published. She said that it would lead to bloodbath and civil war in the country. This stand of hers is in stark contrast to her position in the past. In 2005, speaking in the parliament, she was vociferous against the Bangladeshi infiltration to Bengal and had pointed out that a large number of Bangladeshis were in the voting list which she described as a very serious matter. And she resigned from the parliament for not being allowed to discuss the matter in the house. As I mentioned, the BJP government also wanted to dilute the entire process by bringing in the Citizenship (Amendment) Bill. Further it also allegedly tried to influence the updating process in different ways at various stages. But the timely interventions of the SC brought the entire exercise back on track. The major political parties have never taken genuine interest in the problems of Assam or northeast. It is the vote bank politics that shapes the nature of their engagement in Assam. Both the main linguistic and religious minorities in Assam are otherwise much bigger electoral players either directly determining or influencing the electoral outcome of several Indian states. The continuous massive campaign, national and international, against the NRC is a testimony to this. The Assamese, including the Assamese Muslims, and other indigenous communities are insignificant factors if you consider the bigger picture. So I feel the parties have been looking at this issue through the prism of vote bank politics. They now talk about humanity which is all right. But they fail to answer what will happen to the political, economic and cultural rights of the smaller communities which are facing genuine threat to their identity. What have they been doing all these years? Why have they allowed the problem to go out of hand and assume such a gigantic and complex form? They should not have allowed this to happen in the first place. Now, from the recent reactions of these parties, it seems most of the all Indian parties are generally indifferent and ignorant about the issues in Assam or other parts of northeast. The kind of debate that took place in the Parliament on NRC is a case in point. The statements of some of the very senior and veteran politicians were very disappointing. Some opposition political parties are also alleging that the NRC update process is part of a BJP agenda to do politics on communal lines. But they do not mention that it is the SC which is directly monitoring the process and have reprimanded the government of India, the government of Assam and the NRC authorities on different occasions for alleged attempt at interference. NeNow: Don’t you think Government should have a plan for the people who will be left out from the final NRC list? CKS: Definitely government must have a plan because after the final list comes out, there could be trouble. Although Assam remained peaceful after the final draft was published, the situation may be different after the final NRC is published. Agent provocateurs will also be active, looking at the kind of sectarian and provocative rhetoric by these forces before and after the first and second NRC drafts. Although generally illegal migrants are repatriated to the country of their origin, there has not been any treaty of repatriation between India and Bangladesh, neither was there any effort for such a treaty. In the absence of a formal mechanism, earlier the detected illegal immigrants from Bangladesh were pushed back at the border. In any case, I don’t think, such a large number of illegal immigrants can be repatriated at this stage. The government also has not taken up the issue with the Bangladesh government, at least at the formal level. So these people will become stateless. There has been a suggestion for providing long term work permit to the people found to be illegal immigrants as is the practice many countries. However, question has been raised as to whether you can issue work permit to people who are stateless. Yet, Government of India can creatively think about this measure. The government may also think of distributing this population among other states so that Assam is not overburdened. So there might be various ways in which this problem can be addressed. But there is no doubt that we have to do this with lot of sensitivity if we seek for a durable solution to the problem. NeNow: Do you think that certain forces from outside the state have a larger design to destabilize the state and stall the NRC update process? CKS: Before and after the publication of the final NRC draft, a lot of people were making very provocative and sectarian statements. While any constructive criticism of the mechanism that NRC update process has followed would have been helpful, they did not do this. They kept silence all the while and suddenly started making all sorts of noises evidently to whip up communal emotions. This might be a part of a larger agenda. There was some so-called fact-finding team coming to Assam from Delhi. The report they made was unabashedly selective and full of factual inaccuracies. Such reports appear to be outright motivated. The northeastern region is strategically very sensitive and various international forces are active in this region. So one cannot discount the role of some powerful external forces to destabilize the region at such a critical juncture. NeNow: You wrote a book on Assamese identity titled – Asomiya Kon? –more than a decade back. Here I would like to ask you who according to you is an Assamese? Do you think defining Assamese identity is a must to safeguard the rights of an Assamese? CKS: I think there are two issues here—cultural definition of the Assamese and its political definition. Culturally we all know who is an Assamese and what is his or her heritage. Some quarters are arguing that everybody who came here before 1951 is an Assamese. Some others have extended this year to 1971. This is a political definition – a definition of citizenship-not a definition of an ethnic identity. This is not to say that both the definitions are mutually exclusive. Many, who come under the political definition already, do come under the cultural definition of Assamese as well and many might come under it subsequently. Secondly, we have to understand the context in which the necessity for defining Assamese identity arose. We all know, it arose around 2005 when the issue of providing constitutional safeguard to the Assamese people under the Assam Accord was raised by AASU. Government of India shrewdly asked for a definition of the Assamese people. This is only an example of government’s subversive tactic. Did not it know the definition of Assamese when they signed the Assam Accord? I am not really keen to give you a definition of Assamese here. It may be debated. But it is to be acknowledged that Assamese identity has been very accommodative and inclusive all along. It has included so many groups and communities, from East Bengali Muslims to Nepali Hindus, within it which has no parallel anywhere in India. Which is why, it has become all the more difficult to define an Assamese. A section tries to portray the Assamese as a chauvinistic and exclusivist community for raising the issue of foreigners. But if it were so, it would not have been possible for members of many immigrant communities to flaunt their identity as Assamese. However, at the same time, while we know that the Assamese identity has evolved over time, like any identity it is also has its contours, its boundaries, howsoever flexible, at a particular juncture. The need for defining the Assamese community cropped up so that the community thus defined may be given certain constitutional safeguards for the protection of their cultural, political and economic rights which are in crisis because of the considerable transformation in the demographic landscape of the state on account of uncontrolled immigration since colonial times. Now, we have to also understand that the language, history and culture of the Assamese or other indigenous groups are not preserved or protected elsewhere in the country. Therefore, when we talk of providing constitutional safeguards, we are talking about these groups and not of those groups, even if they are within the broader definition of Assamese, whose language, history and culture are thriving elsewhere. After all, if each one of these groups, which came to Assam from 19th century onwards start demanding constitutional safeguards – because they also think themselves to be Assamese—then this question of safeguarding the identity of the Assamese or other indigenous communities will be meaningless. In fact, if these groups genuinely feel that they are Assamese, they should also support protection of the Assamese identity and may enjoy the benefits there from as Assamese. Without such overtures and understanding on the part of the immigrant groups, insecurity and anxiety among the Assamese and other indigenous groups will continue and any solution to the existing tension will remain far-fetched. Government should indeed take measures for promotion of the cultures of these groups which have become part of the socio-cultural landscape of Assam, but meaning of constitutional safeguard is something different. The moot question remains, however, is what is the responsibility of the Indian state to its smaller communities? How will they be protected? The manner in which the state responds to these questions will have far-reaching implications and therefore will be closely watched. Yet, mere constitutional safeguards which might include a range of measures such as reservation of seats in the legislature, land rights, etc. may never be enough. They may serve as a breather for some time. But in the long run unless we collectively work and fight towards achieving economic self-reliance and certain control over resources such constitutional safeguards will be useless.